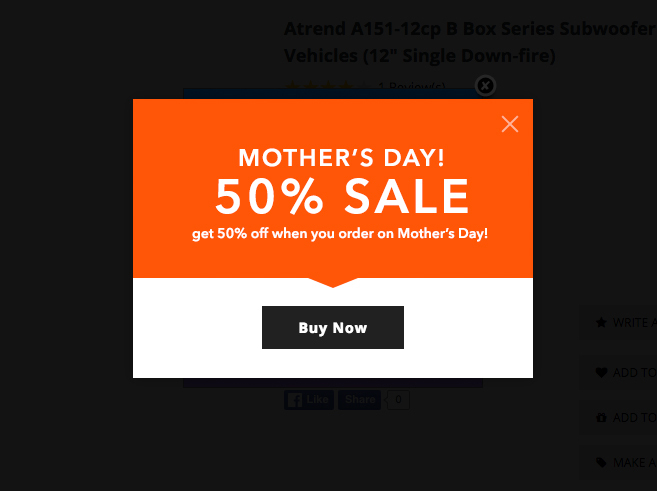 Your online store is a unique representation of your business and brand, so why should your popups be any different? 3dboost allows you to create gorgeous, time-sensitive offers that truly reflect the look and feel of your website, ensuring a completely cohesive, streamlined website design. Fully customizable and easy to use, 3dboost gives you absolute control over every facet of your popup’s design, with three formats (iframe, image upload, and text) to choose from. Select the image, text, colors, style, and dimensions that best match your website’s style, with the added ability to add a buy button and customize the background overlay from a selection of 10+ transitional effects. Use 3dboost on your product pages, category pages, or any template of your choosing. Since 3dboost is responsive, you can target shoppers everywhere: desktop, mobile, and tablet. Best of all, it doesn’t require any HTML or Photoshop knowledge. With 3dboost, anyone can make stunning, eye-catching popups built to sell. Easy to set up and get running - color combinations work well - able to pick where and when it shows up and how many times. Excellent for the money. I've been wanting an app such as this for a while, but those offered were too cost prohibitive. THIS one, though, suits me just fine. It's easy to use and offers the flexibility I wanted in such an app. Just installed it. For the dollar value it is good. For a beginner website it is also good. Would like to see some additions, like tracking of the sales to clicks, interface to email signup (I created a extra page to get around this). The admin of the module is rudimentary. Hoping to see further development on this app. Overall value for $ is good. Q: Can this app be removed if its not what we want. As there is no trial I don't want to get lumbered with a years contract or anything ? I sure it IS what we want but really would be good to be able to test it or at least see a little more of what it does. A: Yes, it's very easy to enable or disable the app in your store. There are no contracts on this. You can also contact our sales team for a free trial if you're interested. 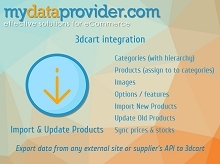 MyDataProvider offers set of tools for exporting data from the web, our specialization is data export from ecommerce web sites.